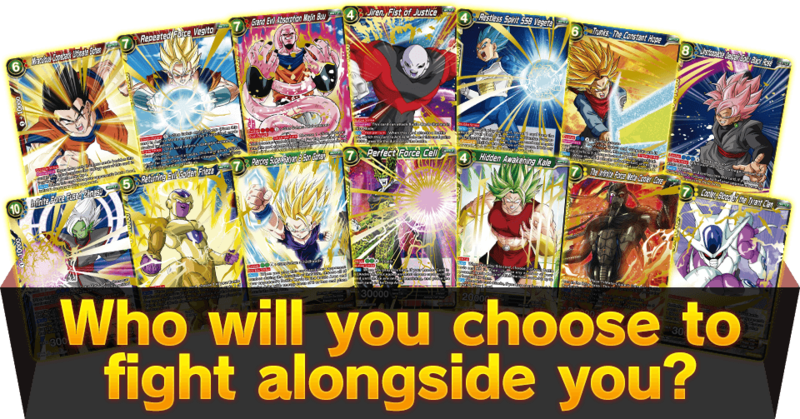 Union Force SR Card Showdown! 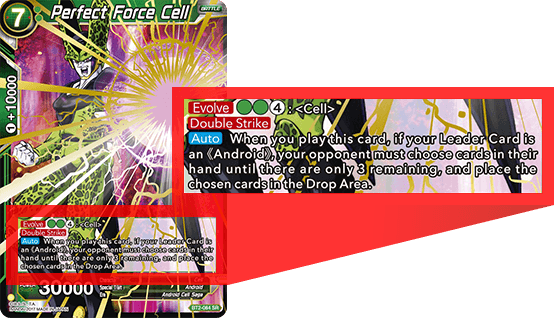 When you’re in a desperate situation, use this card to turn the tables! Surprise your opponent and press the advantage! 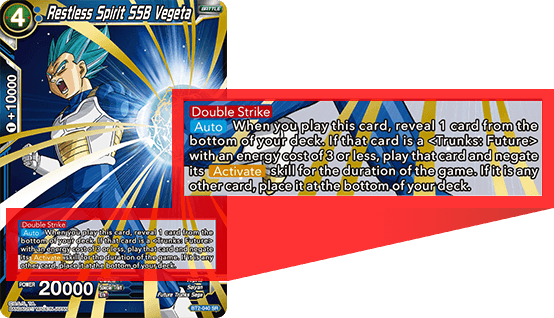 Triple Strike makes this red Vegito card unstoppably powerful! 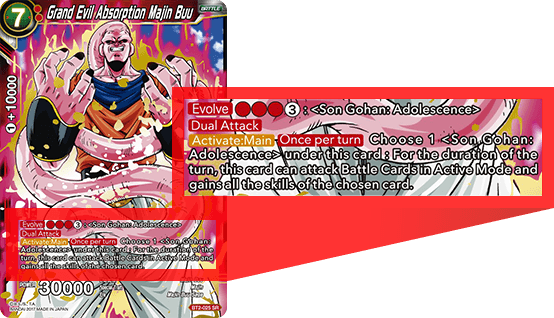 The perfect partner for SR Son Gohan! Use this to close games out in a hurry! 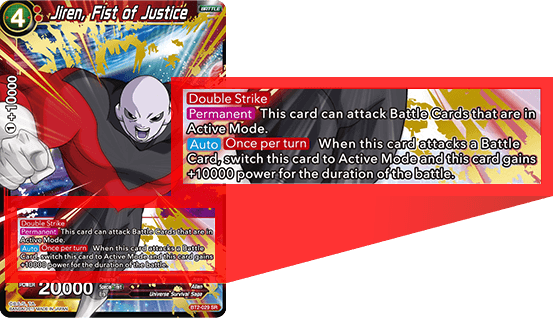 Jiren has Double Strike and can even raise its power for a first attack! 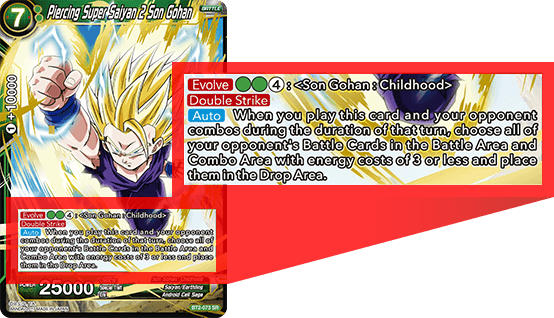 Plays well with BT2-043 Trunks! Create a combo to overwhelm your opponent! 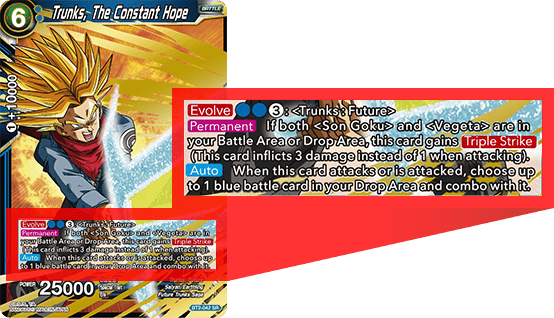 Make your combos more powerful with this card! Combine it with cards that trigger skills off of combos and go to town! 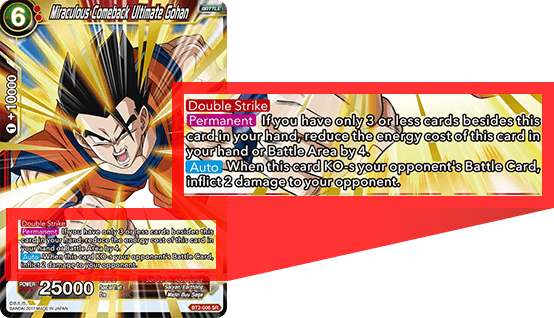 A powerful card that can drain your opponent’s energy, making it a perfect finisher! 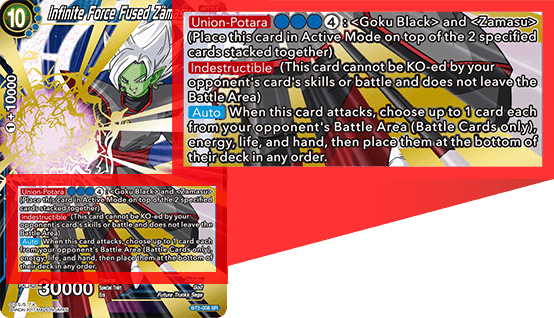 Throw it in a Zamasu deck to serve as a finisher! 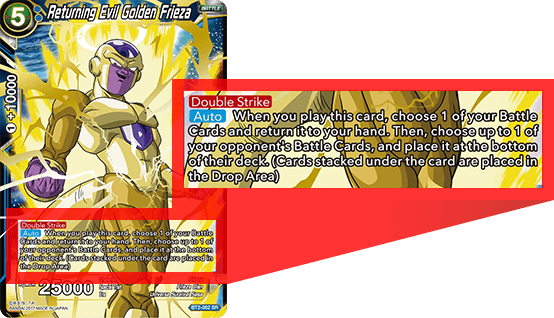 Frieza returns your opponent’s Battle Cards to the bottom of their deck, and can also be used to power up a Frieza deck! A card that limits your opponent’s combos during the turn you play it! 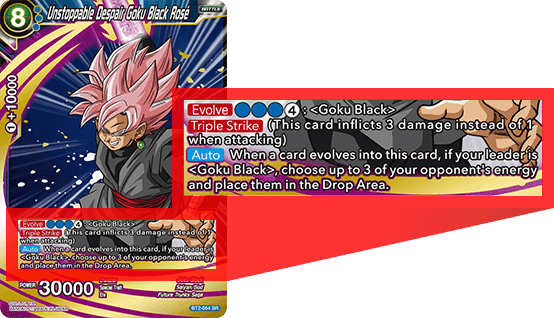 It also destroys your opponent’s cards, allowing you to attack their Leader aggressively! A super powerful card that shrinks your opponent’s hand down to 3 cards! Use Unions to get him out fast! 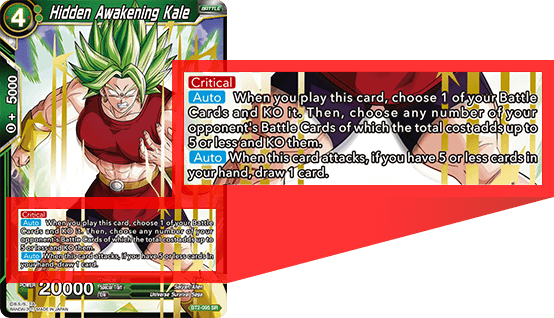 A powerful card that combines destruction and card drawing! Perfect for keeping up the pressure during the mid-game! 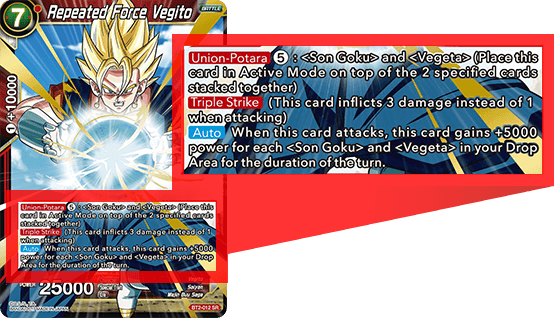 Use Unions to play this card! 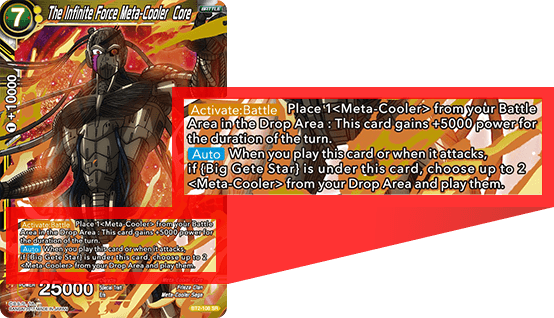 Combine it with other Meta-Cooler cards to bring the game to an end quickly! 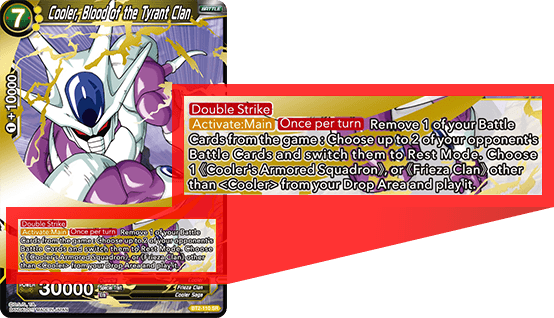 The perfect card for Cooler’s Armored Squadron and Frieza Clan decks!